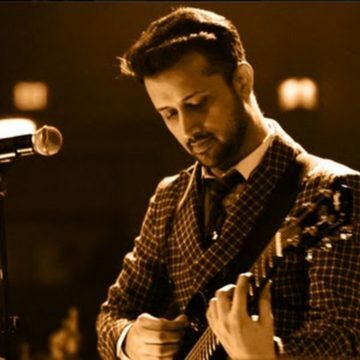 Atif Aslam (born 12 March 1983) is a Pakistani singer-songwriter and actor. His movie debut was the 2011 social drama Bol. He has recorded numerous chart-topping songs and is known for his vocal belting technique. He predominantly sings in Hindi, Urdu and Punjabi, but has also sung in Bengali. He is a recipient of numerous Lux Style Awards, he also received Tamgha-e-Imtiaz in 2008, the fourth-highest decoration given to civilians in Pakistan.